Two journalists in a small Alabama town discover a mysterious book that makes them confront the past. If you had the power to amend choices you made in the past, would you—even if it changed everything? 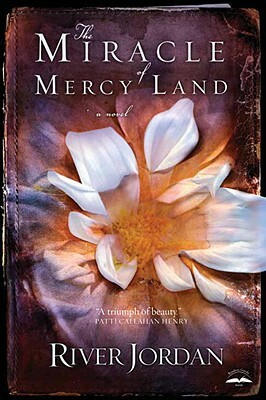 Mercy Land has made some unexpected choices for a young woman in the 1930s. The sheltered daughter of a traveling preacher, she chooses to leave her rural community to move to nearby Bay City on the warm, gulf-waters of southern Alabama. There she finds a job at the local paper and spends seven years making herself indispensible to old Doc Philips, the publisher and editor. Then she gets a frantic call at dawn—it’s the biggest news story of her life, and she can’t print a word of it. Doc has come into possession of a curious book that maps the lives of everyone in Bay City—decisions they’ve made in the past, and how those choices affect the future. Mercy and Doc are consumed by the mystery locked between the pages—Doc because he hopes to right a very old wrong, and Mercy because she wants to fulfill the book’s strange purpose. But when a mystery from Mercy’s past arrives by train, she begins to understand that she will have to make choices that will deeply affect everyone she loves—forever. River Jordan is a critically acclaimed novelist and playwright. Her previous works include Saints In Limbo and The Messenger of Magnolia Street. She speaks around the country on the “Power of Story” and produces and hosts the radio series, Clearstory from Nashville, Tennessee, where she makes her home.